Hotel Sogo is infamously known as a love hotel for those who have tight budgets to splurge otherwise. This is the a place where love affairs of different backgrounds stay for "long" or "short time" purposes. Well... this is my personal perception of Hotel Sogo and I believe most of the people I know also share the same thoughts. Thanks to the chance of joining the 25th year celebration of the country's largest hotel chain - Hotel Sogo that I was able to debunk the myth that it is only for one-night-stand stays! 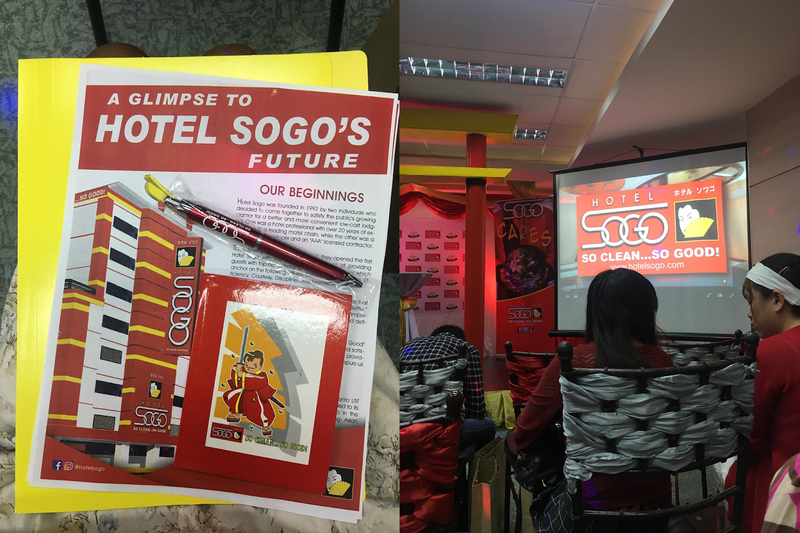 Last Monday, I rushed my online task just to be able to join the media launching of Hotel Sogo in Cubao. Normally, I skip events that are held in Quezon City because it is far from where I stay. Now that I work online, every single second counts because I am only get paid if I work according to the hours I billed to the client. Unlike during my corporate days, I have paid leaves or as long as I clock in on time and clock out appropriately, I am paid for sure. Two o'clock in the afternoon is the agreed time and so I took a taxi and paid close to two hundred pesos just to make sure I do not get late. However, for some reasons the event started more than an hour. 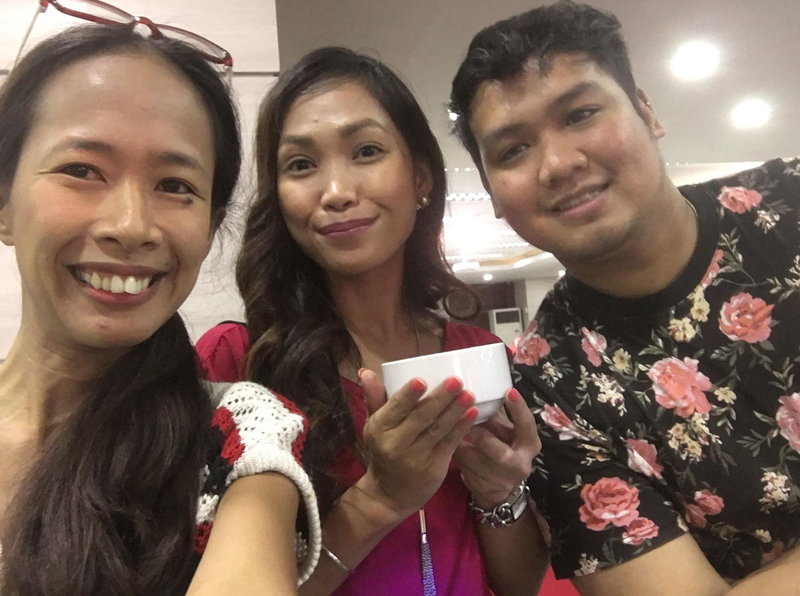 To be honest, it is disappointing to wait for people like me who is very particular about punctuality but I stayed a bit more because I was able to chitchat with blogging friends I have not seen for so long. Finally, two good-looking emcees appeared on stage. That's when I know the apocalypse of waiting has ended. The program officially opened. All ears and eyes are focused to the front of the stage. Who would have thought that Hotel Sogo has been in the hospitality industry for 25 years? Its first ever branch is near the station of LRT Monumento that opened in February of 1993. I was thinking is it really planned or it just coincided that this love hotel started its business during the love month also? Hotel Sogo was founded by two individuals in 1992 but only in 1993 they did it in full swing. One was a hotel professional with 2 decades of experience in another leading chain of motels and another one is a triple A licensed contractor. 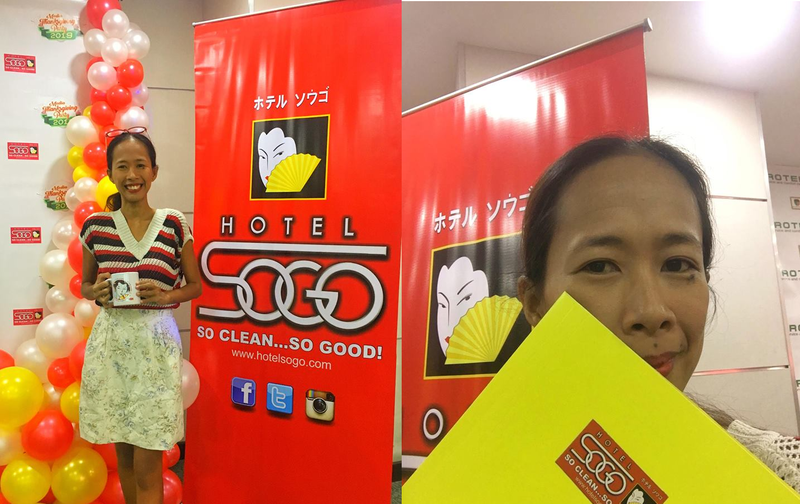 Hotel Sogo's Tagline "So Clean... So Good"
Every brand has unique tagline. Hotel Sogo's is so short and simple, you'll not going to wonder why this hotel was named that way! Hotel Sogo is a budget accommodation but they do not want a budget kind of service given to their customers. They maintain a very well-kept environment that attracts positive vibes. Hotel Sogo's motto which is "We Simply Do It Better" also stands out because of the idea that you don't need much to perform much. Hotel Sogo follows a low-maintenance business model but the output is superb in quality! Every guest who checks in at Hotel Sogo is welcomed with a traditional Japanese bow to show their utmost courtesy all throughout his/her stay. While I haven't stayed in any Hotel Sogo branch because I am not a fan of hotel rooms without windows, I always hear friends who have stayed in Hotel Sogo praising the hotel's wide space and really good customer service. Lately, they have embraced a lot of innovations to provide the best service such as 24-hour Guest assistance SMS center where their customers can send text messages for free anytime they need it. Unknown to the public, Hotel Sogo has a lot of activities sharing their blessings to those in need. Hotel Sogo's generosity is something that all companies should be inspired of. The story of giving back to the community started as early as 1998. 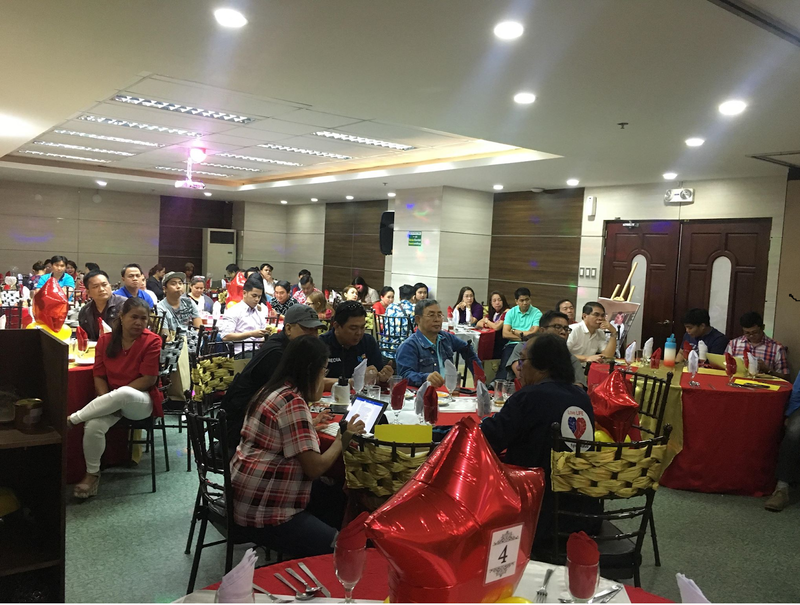 From donating pillow cases to calamity victims to free medical consultations, Hotel Sogo is always open to partnerships with different government and NGO groups. For a brand to keep up with the times, it must reinvent. I am so happy that they first started from the colors of their buildings. The combination of red and yellow is very heavy to the eyes! I like that they added white color to the new buildings of Hotel Sogo! They plan to give skateboards to waiters so they can move quickly. They make sure every room has a hot and cold shower that is operating properly, there's enough parking, massage & Jacuzzi to selected Hotel Sogo branches and more. 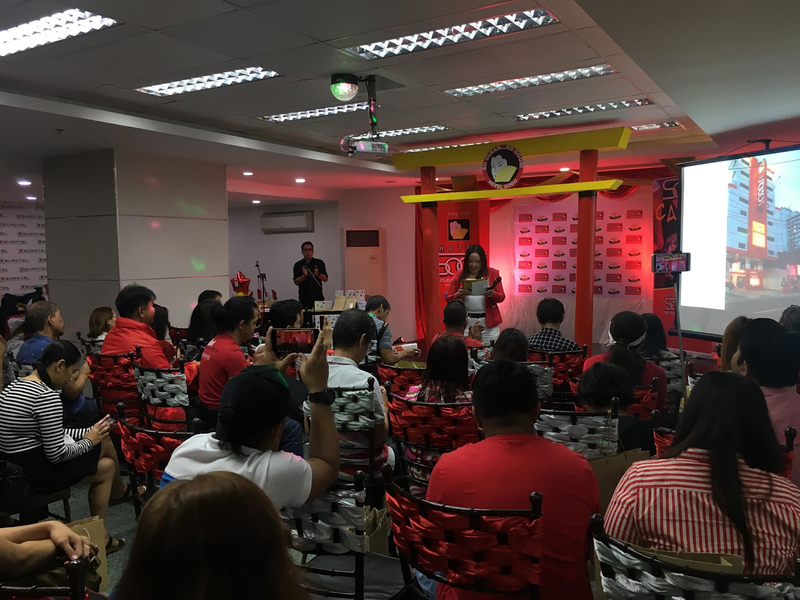 Hotel Sogo has 40 branches now and employs 180+ employees! And yes, Hotel Sogo is a great fit for budget travelers - not just a love hotel. They want to be a temporary home for those who need a temporary bed for a night or two for those who do not want a fancy room.